Wall Street is in a summer slump. The Dow has dropped for six days straight, its longest losing streak since Halloween. 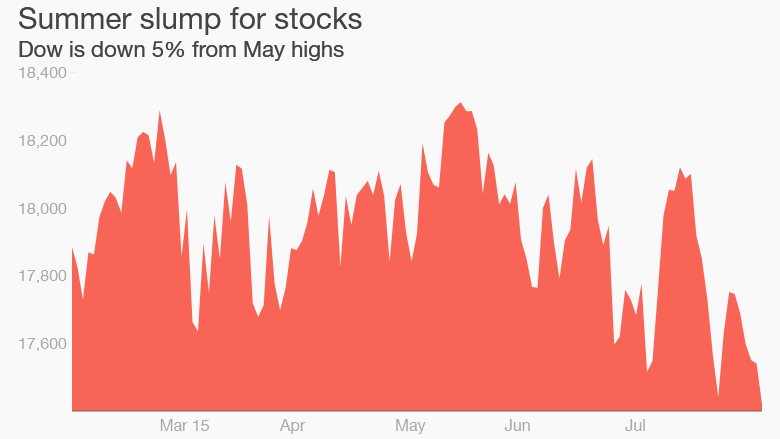 The index is now down more than 2% for the year -- and that's not what investors want to see. 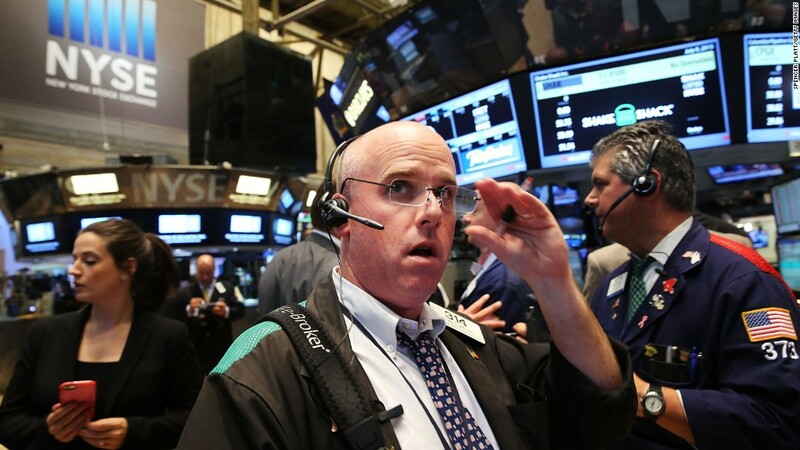 Stocks fell again Thursday, taking the Dow to its lowest level since early February. So what's going on? Blame the slump on jitters ahead of the critical monthly jobs reported out Friday morning or nervousness about the Federal Reserve's "liftoff" plans to raise interest rates for the first time in about a decade. But the more immediate concerns are earnings. There's a meltdown going in media stocks. And coffee stocks. And at least one electric car maker. There's also a wave of selling in crude oil, copper and other commodities that emerging markets like Brazil, Chile and Mexico rely on. It's gotten so bad that Saudi Arabia is actually borrowing money now to close its budget deficit. "There are concerns it will broaden to an emerging market contagion issue. It's got the market spooked a little bit," said Michael Arone, chief investment strategist at State Street Global Advisors. It's not just the Dow taking a hit. The S&P 500 declined nearly 1% on Thursday and the Nasdaq slid 1.6%, although those two indexes are at least still in positive territory on the year. Coffee, Tesla & Fitbit tears: Investors are freaking out about terrible "report cards" from major companies, or at least ones that failed to live up to the hype. Just look at Keurig Green Mountain (GMCR), easily the biggest loser in the S&P 500. The instant coffee maker plummeted 30% -- its worst day in three years -- after saying sales of its brewers plummeted 26% last quarter. Keurig's struggling so much that it's laying off about 330 workers. Rival TreeHouse Foods (THS) revealed results that suggest it's having problems too. So the K-Cup coffee fad might be over. Not the end of the world. But lots of other individual stocks are taking a hit due to disappointing earnings. Tesla (TSLA) shares tumbled 9% after dialing back its estimate on how many electric cars it plans to deliver this year. Elon Musk's company also lost a lot more money than investors were bracing for. Fitbit (FIT) sales nearly quadrupled last quarter and it posted a bigger profit than forecasted. Yet the wearable fitness company's stock is tanking too. Media meltdown: And then there's the nightmarish week for media stocks. Walt Disney (DIS) plummeted nearly 9% on Wednesday due to deep concerns about ESPN. Disney confirmed ESPN -- its big moneymaker -- is experiencing "some subscriber losses." That is raising fears about so-called "cord cutting" by Netflix (NFLX) households who are choosing smaller bundles of cable. Those jitters are infecting rivals. Despite reporting in-line results, MTV owner Viacom (VIAB) plunged 14% on Thursday. Rupert Murdoch's 21st Century Fox (FOXA) and CNNMoney owner Time Warner (TWX) experienced similar fates despite earnings beats. Disney also slid further. Jobs, Fed loom: For a variety of reasons, August is off to a rough start. 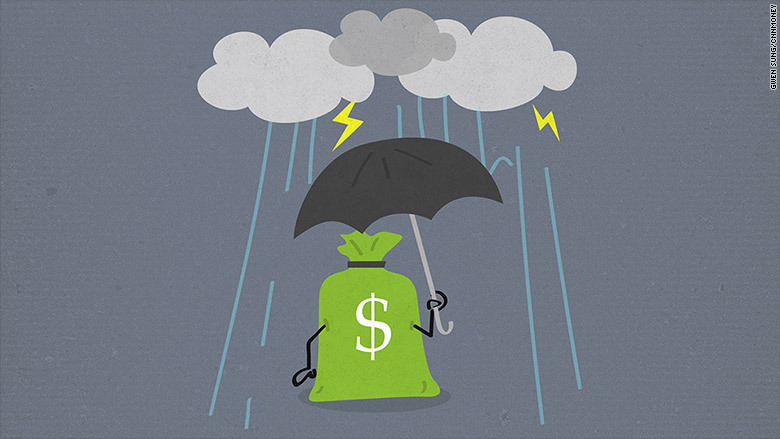 August gets a bad rap with investors for being a tough time for stocks. But history offers some reason for hope. While the month is typically a volatile one for stocks, U.S. markets have posted gains in 10 of the last 15 Augusts. Whether this August breaks from that trend may be decided on Friday. That's when the monthly jobs report is scheduled to be released. CNNMoney's survey of economists predicts 216,000 jobs were added in July, which would be less than the 223,000 jobs added in June. Normally a big deal, this jobs report's importance is elevated by the fact it will be the last major piece of economic data released before the Federal Reserve huddles next month. If it feels the economy is healthy enough, the Fed may decide to raise interest rates for the first time in nearly a decade. Related: The Obama economy has problems. Does the GOP have answers? CNNMoney's Brian Stelter, Patrick Gillespie, Paul LaMonica and Jackie Wattles contributed to this report.